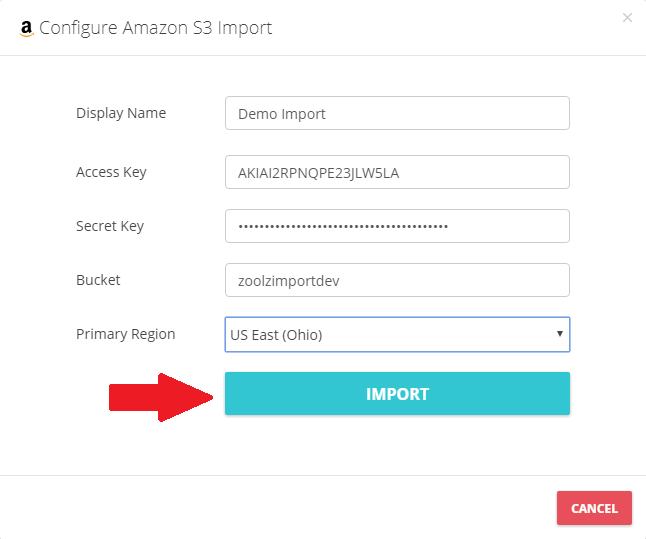 BigMIND now allows you to import the files you have under your Amazon S3 bucket. Select the Discover option from the left side menu. 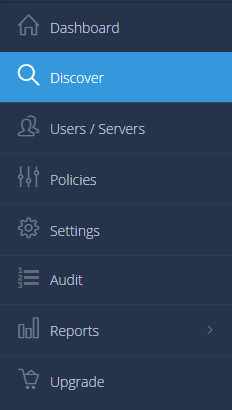 From the left side menu of the Discover Data page, click on the Add Service button. From the opened pop-up box, refer to the Import Files tab and click the Import from S3 button. Display Name: Any name of your choice to be assigned to this import job. Access Key: For more information about how to get this key, please click here. Secret Key: For more information about how to get this key, please click here. Bucket: Enter the bucket name alone to import the whole bucket or append a path with the bucket name to import a specific path inside the bucket. Primary Region: Choose the region which your bucket is created on. This way, the specified bucket will be imported to your BigMIND account. This feature is available only for the Business accounts. You can import data saved under a ٍٍS3 bucket only one time. When the import job is done, the Job Name will be marked as archived job, and no further actions can be taken on it, such as re-import it again. You can import multiple jobs.